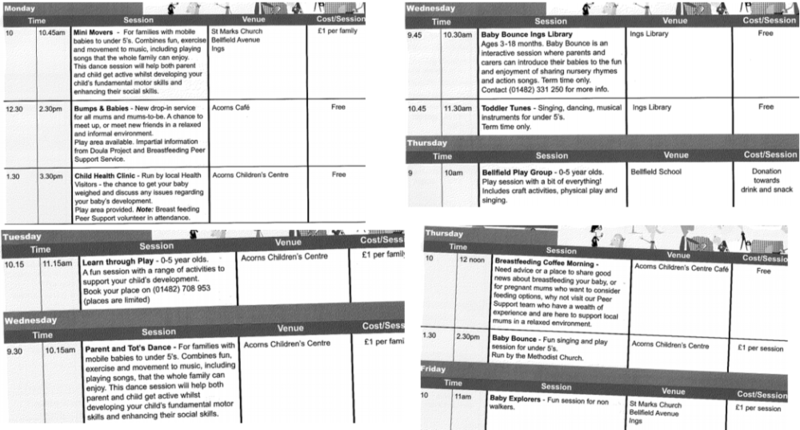 MONDAY PLAYGROUPS & CLASSES IN EAST HULL. For other days use the left navigation panel. 10.00 – 11.30. Rock Up, St Stephens, Hull, HU2 8LN. Rock Up’s ‘Toddler Time’ offers young children free run of the soft play area and arena. With Scuttlebugs and trikes to whizz around on, they can use the arena as their own play village with play tents, road signs and dress up items. (Term time only). No need to book. For more information please visit their website here. 11.15 – 12.00. St Andrews Community Centre, Ennerdale, Sutton Park, Hull. Dancing with the Emphasis on FUN! Dancestars is a fun, energetic dance class that will see your little one wiggle and giggle, move and groove to all the latest songs! Aimed at boys and girls with classes catering from walking upto 4 years. We provide the funky tunes…..the children do the rest! 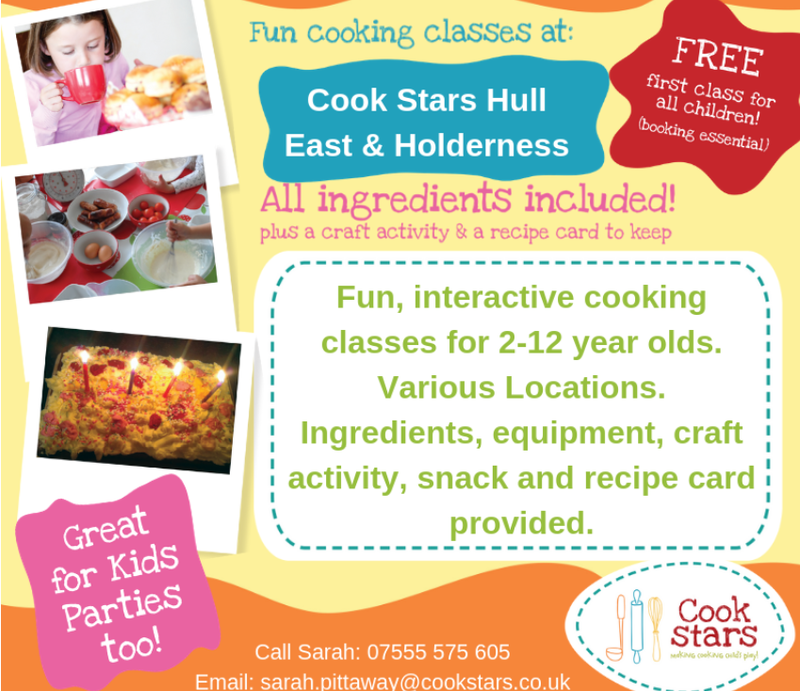 Classes also in Elloughton, Beverley, Kingswood, Anlaby, West Hull, North Newbald and Market Weighton. Classes are pay as you dance. We work with nurseries, schools and provide holiday clubs and parties too! The Space Dance Studio, 107-109 Grafton Street , Hull, HU5 2NP. 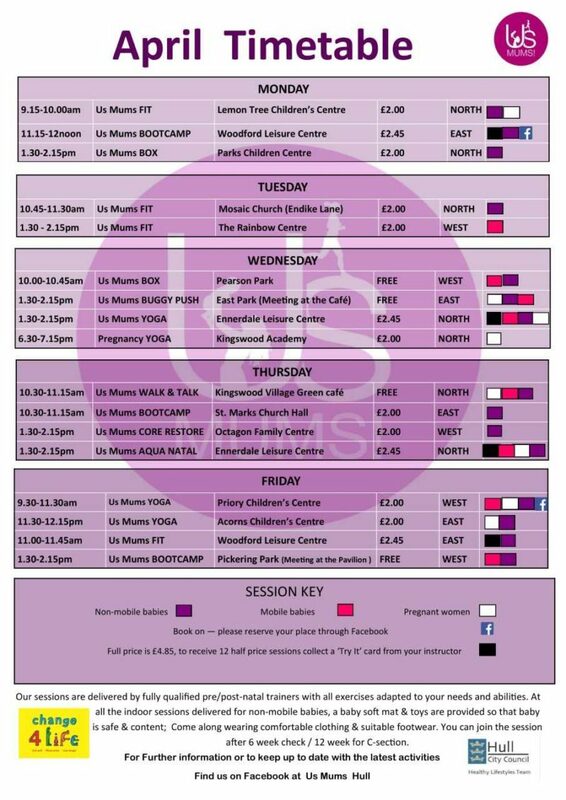 Classes also run in East Hull at The Freedom Centre Studio. 1.30 – 3.30. Acorn Children’s Centre, Nestor Grove, Bilton Grange, Hull, HU9 4DB. 01482 708953. Variety of dance classes for all ages and abilities at Winifred Holtby Academy and Pennine Church Hall. With weekly/monthly awards, exams, annual shows and events. Mondays – 5.30-6.30pm: Lyrical Contemporary & Acro Dance. £4.50, ages 7-16yrs. 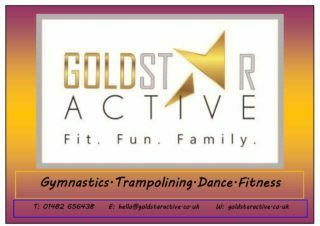 Tuesdays – 6-7pm: Gymnastics. £4.50, ages 4-12yrs. Wednesdays – 6-7pm: Streetdance. £4.50, ages 7-16yrs. Fridays – 5-7pm: Competition teams (invite only). Saturdays – 10-11.30am: Beginner Advanced Streetdance. £24 6 week block booking, ages 6-8yrs. Fridays – 4-5pm: Beginner ballet and tap.£4.50, 3-7yrs. For booking and more information contact Becky on 07943229616 or email bex.crisp86@gmail.com. 9.15. Hedon Scout Hut, Sheriff Highway, Hedon. Baby Bounce – Monday 11-11.45am: Songs and rhymes for babies and toddlers under 18 months. Free. Toddler Time – Friday 11am-12pm: Stories, rhymes, toys and crafts for under 5s. Free. Martial arts based fitness and self defence suitable from age 4 upwards. From £20/month. Classes on Monday and Thursday. For more info call 07542 103533. 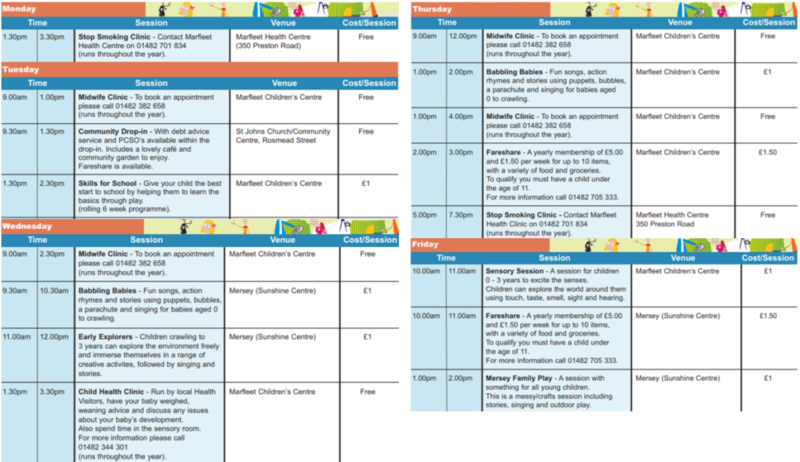 10-11am & 1-2pm – Jumping Jacks is for children aged 9 months to 24 months and focuses on gymnastics and play which helps a child develop essential movement and coordination skills. 11am-12pm & 2-3pm – Sporty Tots is for children aged 2 to 5 years old and focuses on increasing your child’s physical activity and develops throwing, batting and catching, running, jumping, and kicking skills. 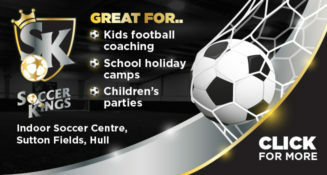 Woodford Leisure Centre, Holderness Road, Hull, HU8 8JU. For more information or to book, call 01482 331332. 10.00 – 11.30. Sacred Heart Church Hall, Southcoates Lane (entrance off Cundall Close), Hull, HU9 3AP. A parent led playgroup for Parents/Grandparents/Carers of twins, triplets, quads and more and also a great support for parents to be who are expecting twins, triplets etc. As parents of multiples ourselves we are fully aware of how daunting and scary it can be to venture out to a playgroup where not everybody is in the same situation as you. At Multiple Madness we fully understand everything each other is going through and are there to offer support if needed and also just to enjoy meeting other multiple parents whilst our children can socialise with others whilst playing a safe environment. 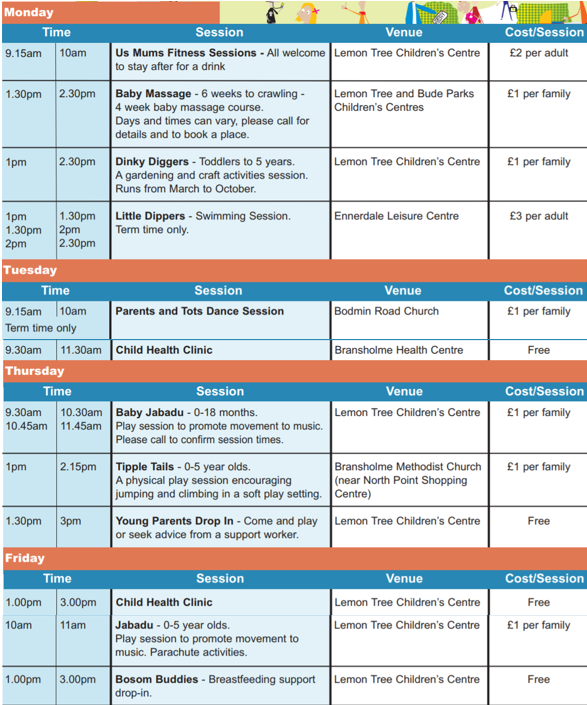 “Free Play” for babies and children with a range of activities each week, 0pen to parents, carers and grandparents. Outdoor play area available, Sensory room available, Children’s Centre Practitioner available every other week. Long Riston Village Hall, Main Street, Long Riston, HU11 5JF. Also classes in Hedon 5.45-6.45pm Thursdays and Preston 9.30-10.30am Saturdays. Suitable for age 4+. Classes are non-competitive and for all abilities. Call for info – Joy 07752 208922. Monday and Thursday mornings 9.00 – 11.00. Open in school holidays too. £2 per session, extra children over 1 year 50p. A wide variety of toys and a great area for babies, toast time, songs/parachute and biscuit and storytime. And of course a hot drink for parents/grandparents. For info please contact the organiser Ali on 07446032111. 1.00 – 1.30, 1.30 – 2.00, 2.00 – 2.30. Sutton Road, Hull, HU7 6EA. Rose Elliott Academy of Arts is school designed for those who wish to meet there full potential as a musical theatre performer, to meet new friends and have plenty of fun. All classes consist of acting, singing and dancing preparing themselves to perform musicals such as Lion King, Wizard of Oz, Hairspray, Shrek, Charlie and the Chocolate Factory, Matilda and many more. Classes also in Bilton on Tuesdays. 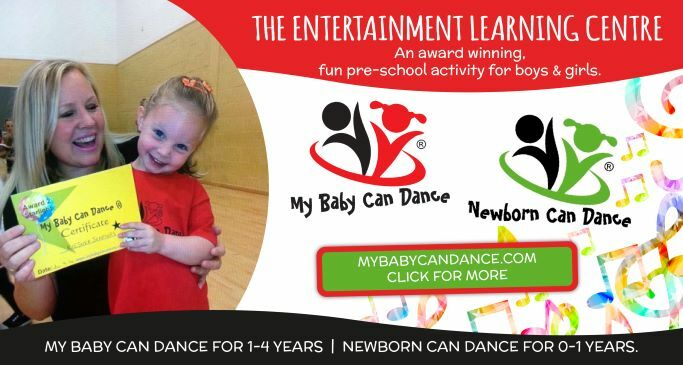 Also for younger children, REA Tots, Musical Theatre classes for pre-schoolers on Wednesdays. First class free!! For more details and bookings please call Rose on 07414826669 or email roseelliottacademy@gmail.com. Victoria Dock Village Hall, South Bridge Road, Hull. 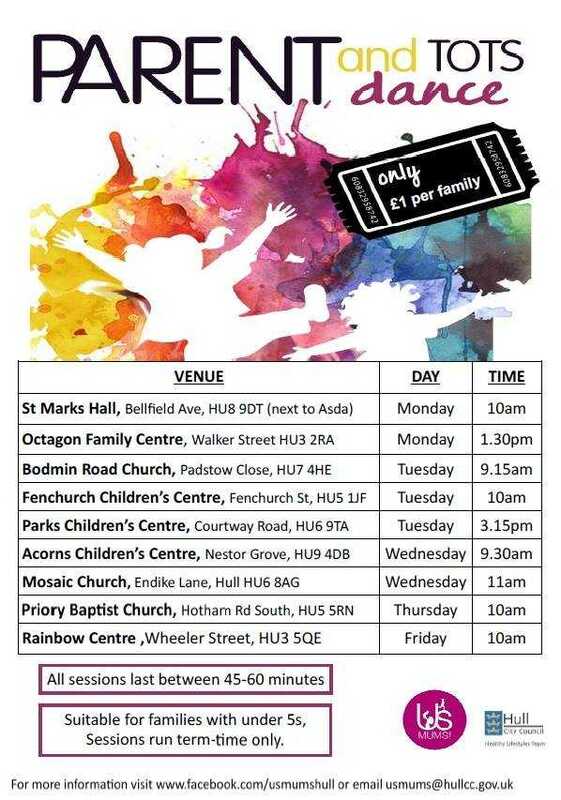 Later on Mondays for older children – Street Dance for all levels. 5.30 – 6.15 for ages 4 – 9yrs, 7.00 for ages 10+ yrs.